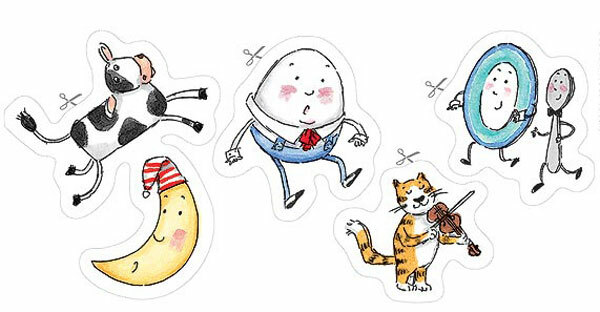 Ever wondered….."What ever happened to the nursery rhyme?". I did. Children of today are aware of certain nursey rhymes, but my up bringing seemed to be CRAMED with these things! Nursery rhymes were the Sh!T! !All the rage! We’d sing them at home, in the playground, when we went to sleep and when we woke up again in the morning. So i was wondering… why did the nursery rhyme craze fade out..?? or more importantly… Why did it begin..? "Rock-a-bye baby, in the treetop"
First of all… what the hell is a baby doing in got damn tree? When the bough breaks, the cradle will fall"
Oh my goodness… its not a matter of "IF" the bough breaks, its a matter of WHEN! "And down will come baby, cradle and all"
The end of baby, or at very least a painfull landing!! And this is supposed to be the melody we sing to our children to put them to sleep? This is a straight up Horror Story. But because we associate the tune with a happy lullaby, it seems this real understanding of a mother putting her baby in a tree whilst its windy outside, and having the bough break resulting in a baby hurtling to the ground is ignored! its a tragedy. But dont let that convince you… theres more. Take Jack and Jill?! They went up a hill to perform the simple task of fetching water from a well. The outcome?? (No they didnt come down with a daughter…lol) Jack fell down and broke his crown whilst jill came tumbling after. Tragedy. 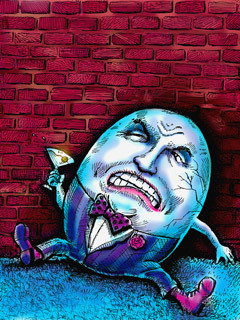 Couldnt put Humpty together again." TRAGEDY!! ARE YOU BEGGINING TO SEE?? Nursery rhymes arnt all tragedy tho… no. ( but i kinda wish they were after this bit). Remember the old lady who lived in a shoe? She had so many children she didn’t know what to do! And she whipped them all soundly and sent them to bed"
This can no longer be a coincidence. One of the more "famous" nursery rhymes and its meaning is "Ring around the Rosie". The words to the Ring around the rosy children’s ring game have their origin in English history . The historical period dates back to the Great Plague of London in 1665 (bubonic plague) or even before when the first outbreak of the Plague hit England in the 1300’s. The symptoms of the plague included a rosy red rash in the shape of a ring on the skin (Ring around the rosy). Pockets and pouches were filled with sweet smelling herbs ( or posies) which were carried due to the belief that the disease was transmitted by bad smells. The violent sneezing was a major symptom indicating the presence of the bubonic plague which in 60% of the cases, resulted in death… when they would "all fall down". This is yet another case of an innocent nursery rhyme disguising a horror story. And the little dish run away with the spoon…"
Im sorry, but that sounds like something someone high on mushrooms would come out with..? 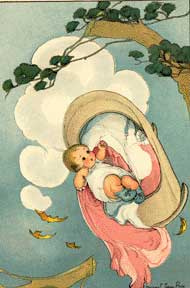 Nursery rhymes are often recited to children, but little thought is given to their content. What effect does this have on a childs brain when the sound of the melody and the smiling face of a loving parent is singing these horror stories to them? This is a classic example of how the "elite" feed us information straight to our faces but within them conceal subliminal messages that they try to pass off as laughable or innocent. These are straight up horror stories portrayed to us with big smiley faces and harmonious melodies.